This dictionary, containing some 12,000 Welsh and English idiomatic phrases, has already proved its worth to Welsh speakers and learners. The phrases included range from those which are true idioms in both languages and cannot be translated literally--such as chwerthin yn ei dwrn: to laugh up her sleeve--to those where only the use of a perposition is different or peculiar--such as ammeidio ar rywun: to beckon to someone. Many of the other phrases contain a peculiarity of vocabulary; word order or tense, which means that they cannot be translated word for word. 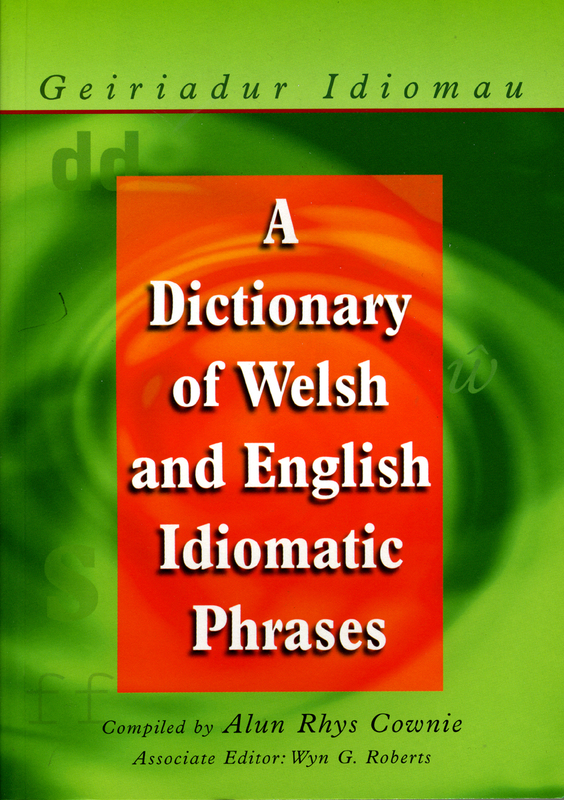 An important aim of this dictionary is to help those learning Welsh to make the difficult transition from idiomatic usage in English to idiomatic usage in Welsh, and it has quickly earned its place as an invaluable tool in that learning process. However, there is little doubt that is also of great value to many whose first language is Welsh and to those who are studying in universities, colleges and Welsh-medium schools.